Students at Abbeys primary school in Bletchley designed and painted a mural for their playground with support from Arkadegraphics. 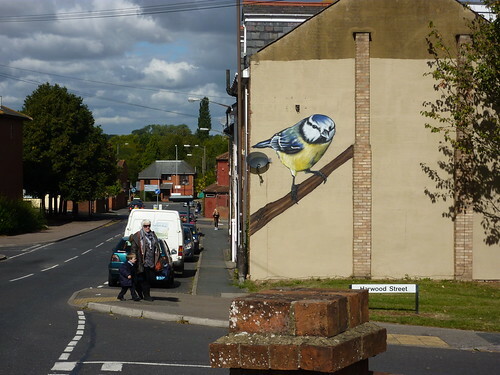 a section of the longest full colour mural in Milton Keynes. 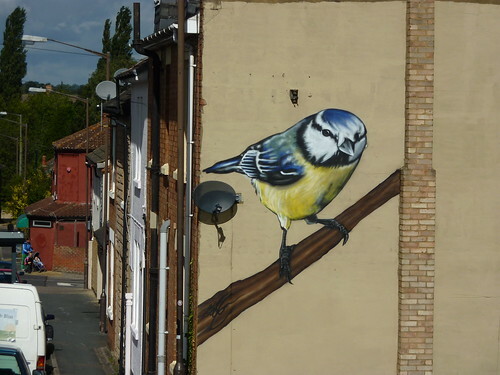 I was asked to paint the end wall on a row of terraced house’s in New Bradwell, once the wall had a coat of masonry paint it seemed a shame to leave it blank, so taking in to consideration that it faced another row of houses i had to decide what would be appropriate to paint on it. 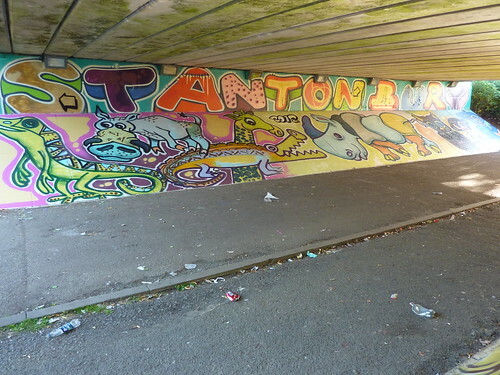 One of my favorite paintings to date. . . . . .
Tinga Tales Underpass between Stantonbury and Bradville. 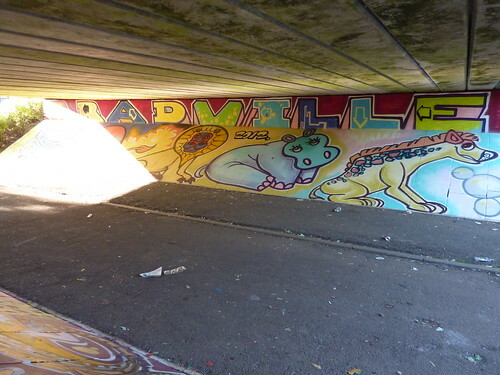 Bradville Rangers are a collection of young people (and a few adults) who meet up in Bradville and find lots of positive activities to get themselves involved in. 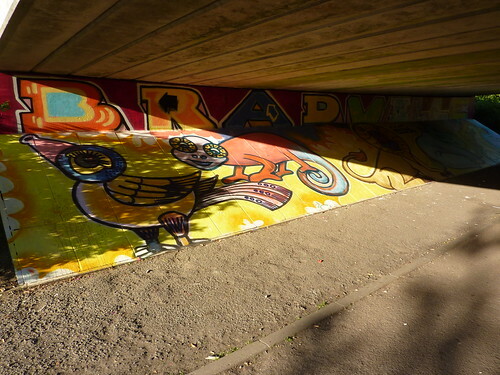 They decided to redecorate an old underpass after seeing the previous mural had become tired and outdated . The young people decided Tinga Tales characters would be the thing they would like to see most on the wall\slopes. 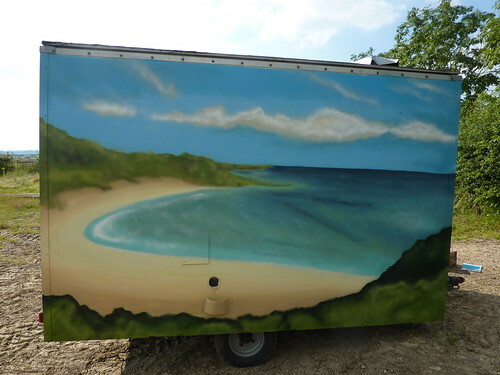 ArkadeGraphics assisted with most the outline work, the rest of the mural was down to everyone else involved. Thanks to all who passed by , helped out and contributed positively to the project. Authentic food needed to come from a van which looked appropriate . 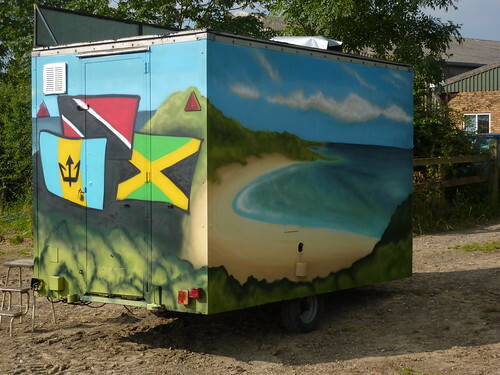 An idyllic Caribbean view , what better way to decorate the stall.